I hope you have the chance to enjoy this beautiful spring afternoon! I have a couple of notes for you. 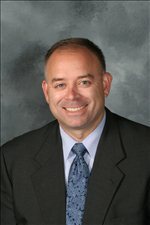 Last night the Board acted to accept the resignation from Mr. Bob Kuhlman. Bob has been on the Board for the last 15 plus years, and his impact was significant. His steady, pragmatic leadership helped steer the district on a course where have prospered academically and financially. It is hard for me personally to put into words my thanks for what he meant to Eastwood. He stood tall when the challenges were the greatest and allowed others to enjoy the spotlight during the best of days. He will be missed. Bob was not planning to seek re-election this fall, and his resignation requires that the Board find a replacement. The Board is required to appoint a new member no sooner than 10 days from the resignation and no later than 30 days from that date. Applicants must live within the Eastwood School District, and they will serve the remainder of Mr. Kuhlman’s term which ends December 31, 2019. If they wish to serve longer, they will have to run for a full term this November. The Board will accept applications through Thursday April 25th. The Board will schedule interviews for Wednesday May 1stbeginning at 5:30 PM. I will contact applicants to set up times for that evening. Interviews will last between 30-45 minutes. The Board will vote on a candidate at a Special Meeting to be held on Friday May 10th at 7:30 AM. If you have any questions, please feel free to call me at 419-833-6411. Open to all children in elementary school or younger and completely free! The annual Eastwood Jazz Fest will be held on May 4th at Eastwood HS. The evening includes dinner and entertainment provided by the Toledo Jazz Orchestra and the Eastwood, Otsego, Oak Harbor, and South Central High School Jazz Bands. The doors will open at 5:15 and dinner will be served at 6:00. All meals served with California vegetable medley, salad, appetizer and dessert. A flier is attached if you are so moved to share this information with friends. Ticket sales close on April 23rd, so don't delay in getting your tickets! Thanks and enjoy your evening!